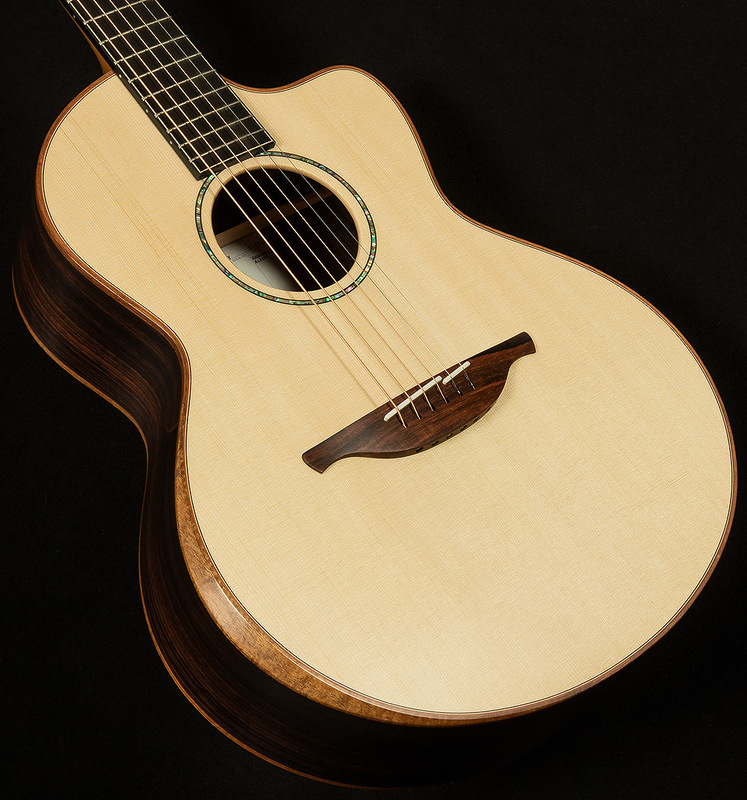 This Lowden S-35 is a lively concert-bodied acoustic that packs a serious punch despite its small size. It is quite touch-sensitive, and you can coax a ridiculously wide variety of timbres out of its alpine spruce top simply by altering your technique. Because it presents the player with such a smorgasbord of tones, it provides a supremely expressive playing experience, so let’s take a closer look at the sounds it has on tap! 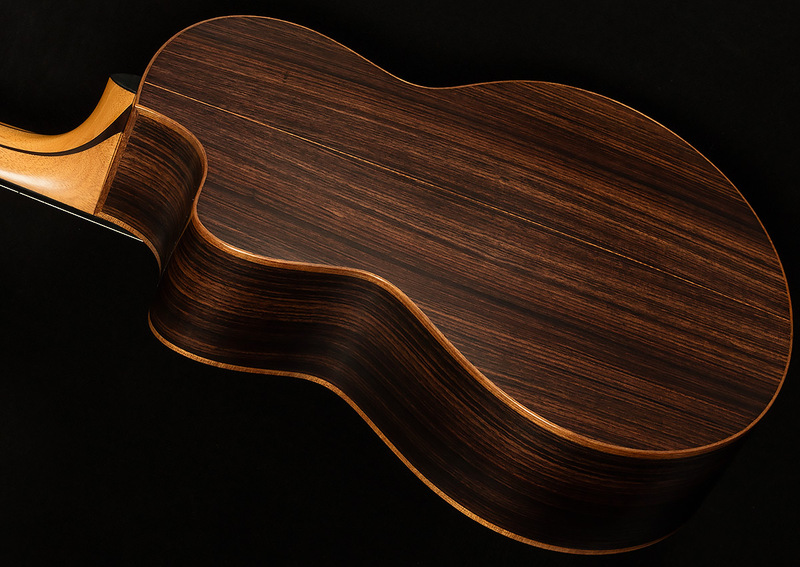 The spectacular rosewood back and sides help give it uncommonly deep, rich bass response—in fact, Lowden may have violated some sort of law to imbue such a small guitar with such powerful resonance, because it is borderline unnatural! Facetiousness aside, the low-end of this guitar is quite special. It’s deep and powerful, but quite clear. 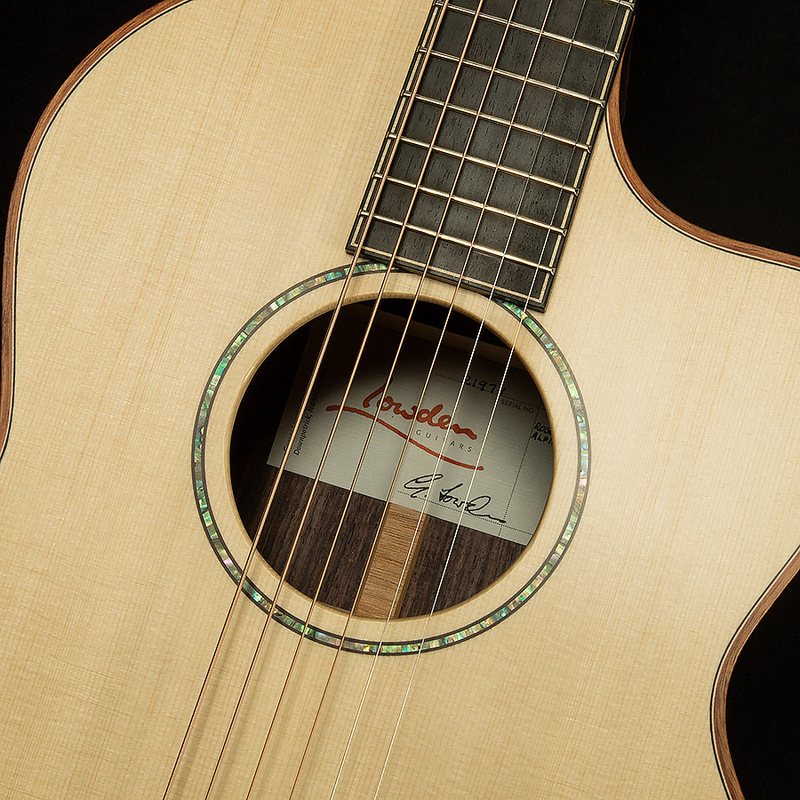 Imagine a classically trained, operatically-inclined baritone singer with a mellifluous, warm vocal tone, and you’ll get an excellent idea of how clear yet rich the rock-solid low end of this lovely Lowden sounds. Meanwhile, the Alpine Spruce top helps this guitar produce a strong fundamental, and while it has plenty of headroom, it also captures an uncommon amount of subtlety and nuance at low volumes. It allows the player’s brasher, louder moments to come through with force and power while also faithfully reproducing every detail of the player’s input during more introspective, mellow moments. The midrange is also quite inspiring! It’s quite smooth, warm, and woody when you ease off with your right hand, but when you pick hard it “hulks out” and all sorts of delightful even-order harmonics start to pop out of the top. The top end showcases a similar level of touch-sensitivity. The trebles have a glassy, golden quality when you pick softly, and they shimmer and jangle more and more as you play forcefully. In an odd way, the way this guitar responds when the top is maxed-out reminds me of an old Vox Amplifier (though, frankly, the Lowden has deeper bass response, so its not an apples-to-apples comparison). Every acoustic guitar can only get louder to a point, and once they reach that level they become more and more compressed—just like an electric amp when you crank the master volume! Harmonics start to pop out all over the place, and everything sounds fuller and richer. The sweet, bell-like overtones that bloom out of this S-35 remind me of that classic Vox jangle, but acoustic-ified! Speaking of headroom, this Alpine spruce top starts to compress in just the right spot. 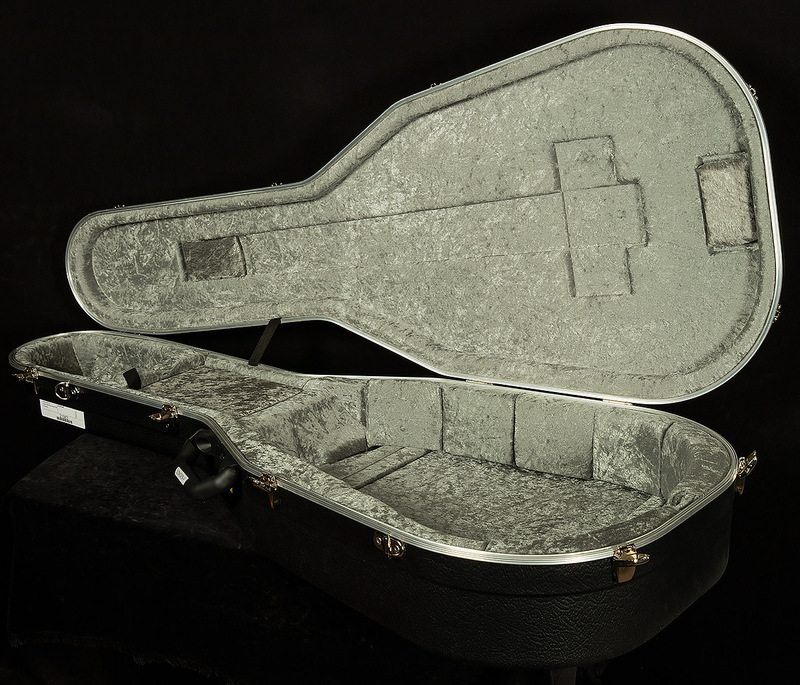 It’s easy for fingerpickers and flatpickers alike to coax this beautiful note-bloom out of the wood, but it still has enough headroom to sound open when you play at a solid mezzo forte. 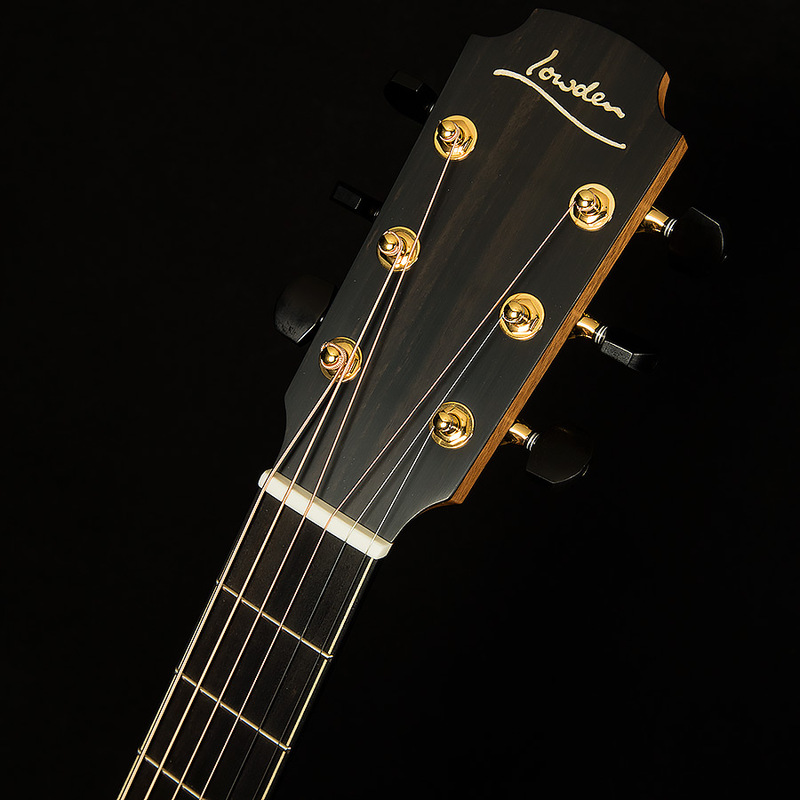 In other words, this Lowden S-35 doesn’t just hit the sweet spot: it lives there! 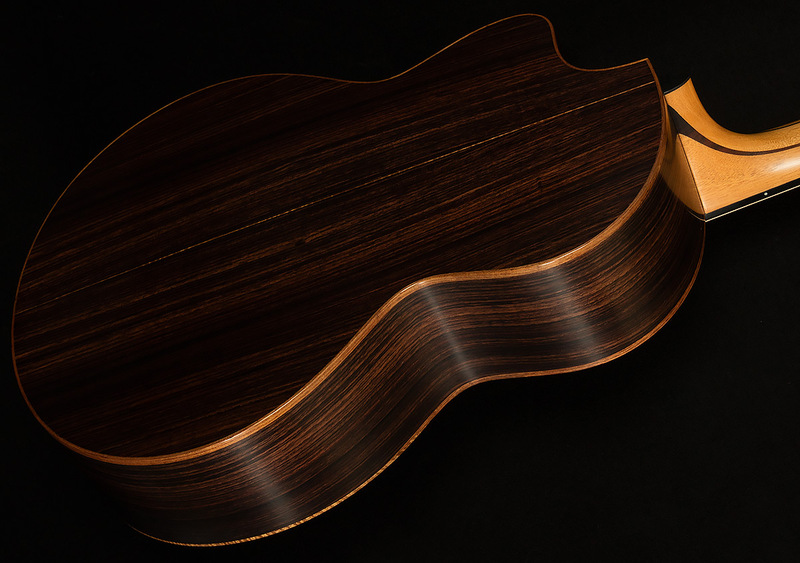 Anyone seeking a concert-bodied acoustic with a tremendously wide range of dynamics and incredible touch-sensitivity will love this serial, and we are proud to offer such an inspiring guitar to our exceptional customers.